I have been building and managing websites professionally since 1999 and have a thorough understanding of current coding and web standards. 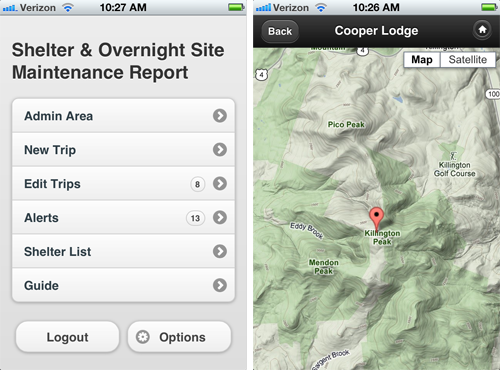 This project is an HTML5 mobile web application that is an administration tool to facilitate trail and shelter maintenance for outdoor clubs. The shelters and lean-tos of the Green Mountain Club of Vermont were used as demonstration data and proof of concept. 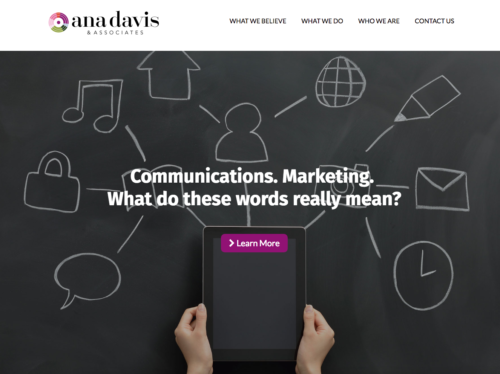 Worked with their provided color scheme and logo to deliver a responsive WordPress site. 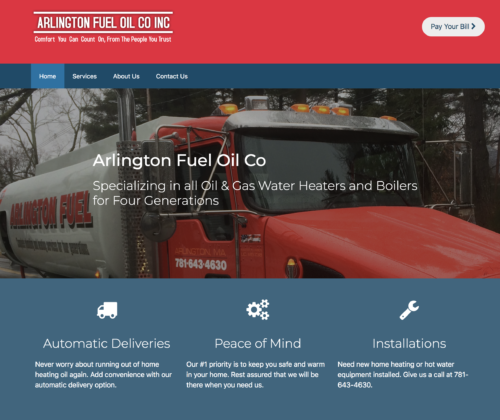 We connected the site up to their payment gateway, allowing users to easily pay their fuel bills. Provided the client with a responsive WordPress site. They needed a way to market their company to prospective clients with a clean design, following the look and feel of their supplied logo. 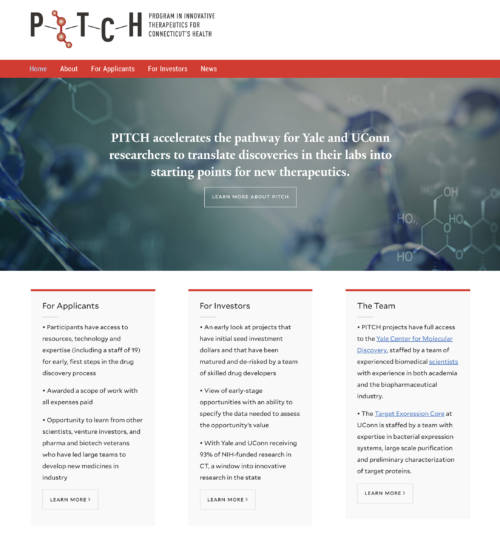 Worked with client to customize a Yale University approved Drupal theme. 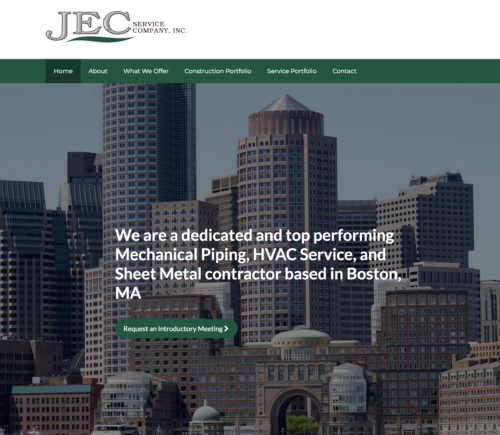 Working with their brand, we started from scratch, provided wireframes, and followed their web accessibility guidelines to provide a fully functioning responsive website. 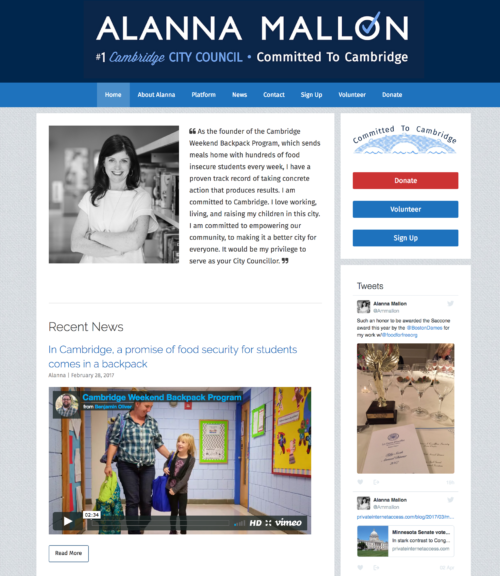 Also provided a MailChimp email theme the client could use for future e-newsletters. Worked with client to setup their initial web presence. Handled all of the web design, web hosting configuration, and WordPress installation. 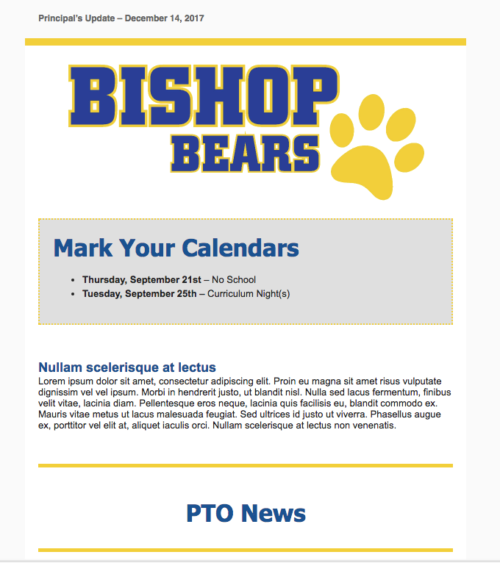 Worked with an Elementary School Principal who needed a new HTML email newsletter designed that would be sent out to their community. The old way of doing things was to organize all the info in a Google document weekly – then when the day came to send out the email via gmail to the school community, they would save as a PDF and attach to an email. They mentioned users did not want to take the extra step to have to download a PDF and it was hard to read on mobile devices. They could not use a service such as MailChimp or Constant Contact due to the fact that they used listservs and users needed a way to unsubscribe if they desired. The solution had to be straight forward with no custom HTML added since the users were not equipped to edit on their own. I came up with a solution that involved designing the template email in Mailchimp, saving it as a template with a google chrome plugin called Gmail™ Email Templates, then training the user to add their content to the template and send to the listserv. User would continue to organize content in the google document for the week as they had always done. 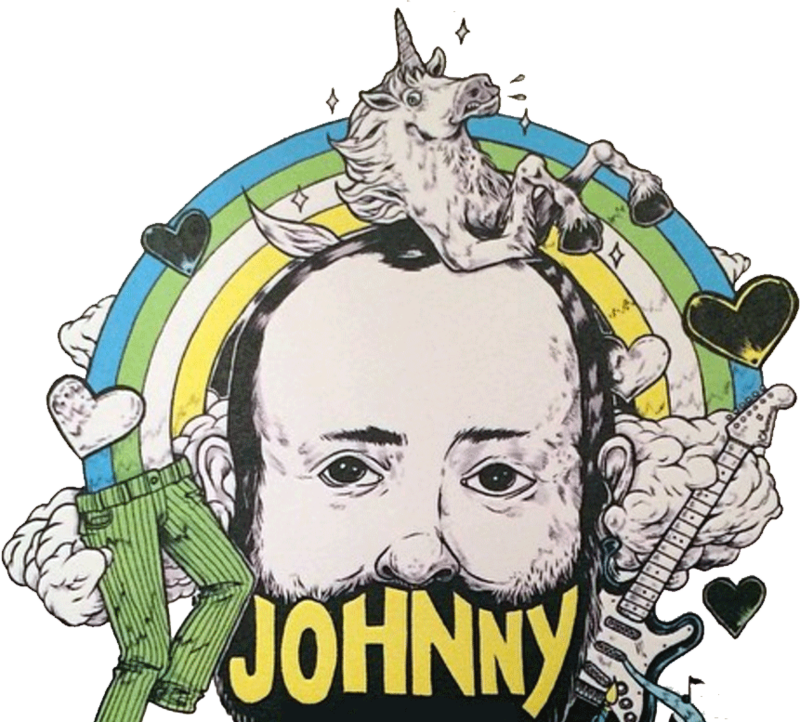 On the day of, they would create a new draft in gmail, apply the blank HTML template, copy their organized content into the body of the email, apply a few header styles, and send to the listserv. 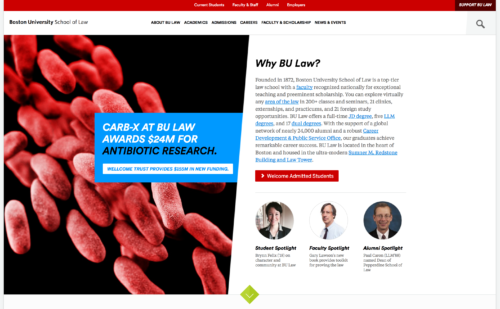 Manage and maintain web development, site design, and user experience for the School of Law website. Incorporating best practices in site usability, interactive experiences, web analytics, and search engine optimization. 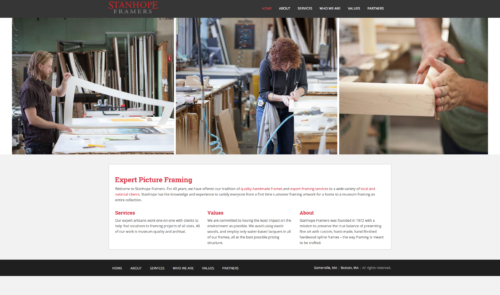 A 2016 refresh of the Stanhope Framers website. Updated site with modern technology, implemented a responsive framework, and worked with a photographer to update the images used across the site. 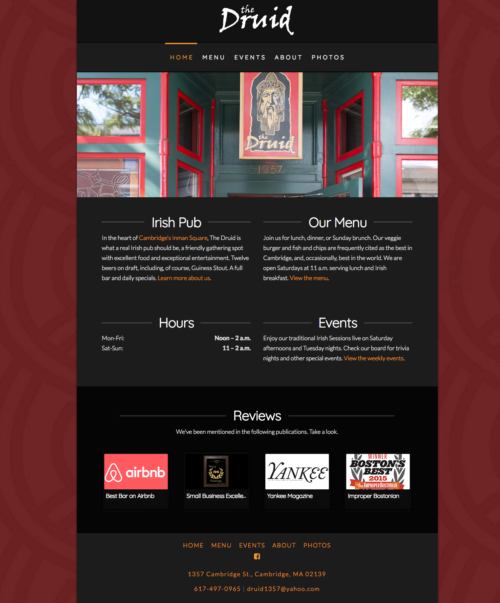 A 2016 refresh of the Druid Pub’s website. 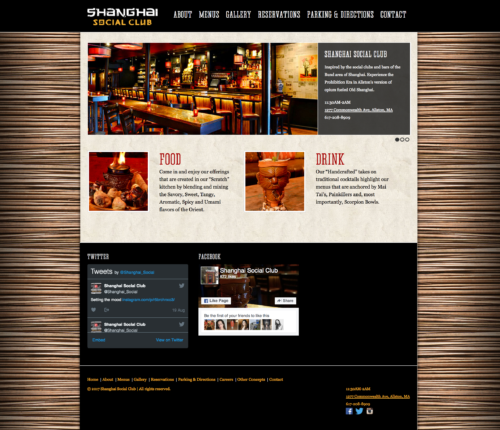 Worked with the owner to finalize a design and customized a WordPress theme. 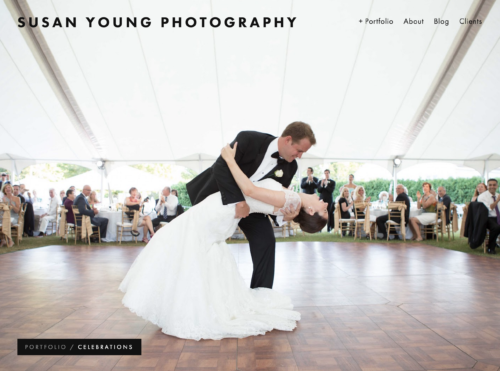 Assisted client with moving site from a WordPress install over to a Squarespace account. I handled all the web hosting issues and configurations that came up. 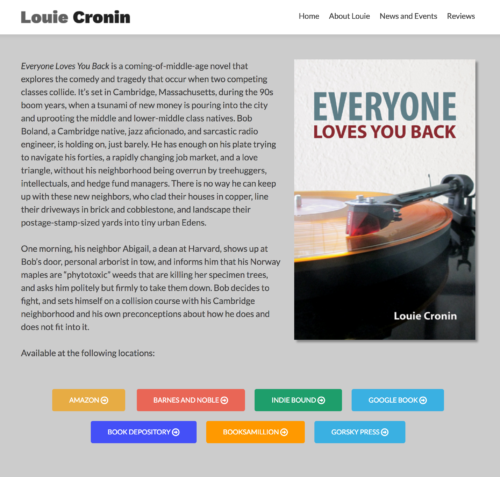 Worked with the author to find a WordPress theme to promote her new book. Once decided, I customized the look and feel and handled all of the web hosting. Worked with the designer and client to arrive at a final design. Took the PSD file and created a WordPress theme. The site was fully responsive, based off of the Bootstrap framework.